I made a new thing! Update: there is now a demo! Check it out before running your own, or use it as is. 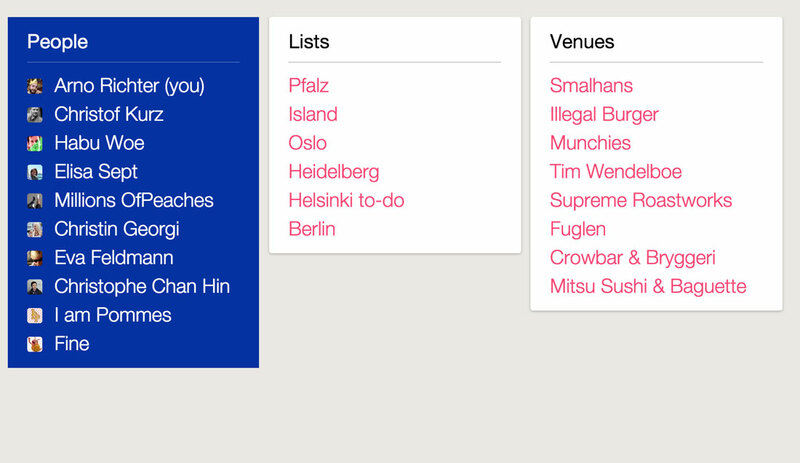 It provides a simple interface to find your lists, your friends’ lists, the contained venues and all the permalinks you want. 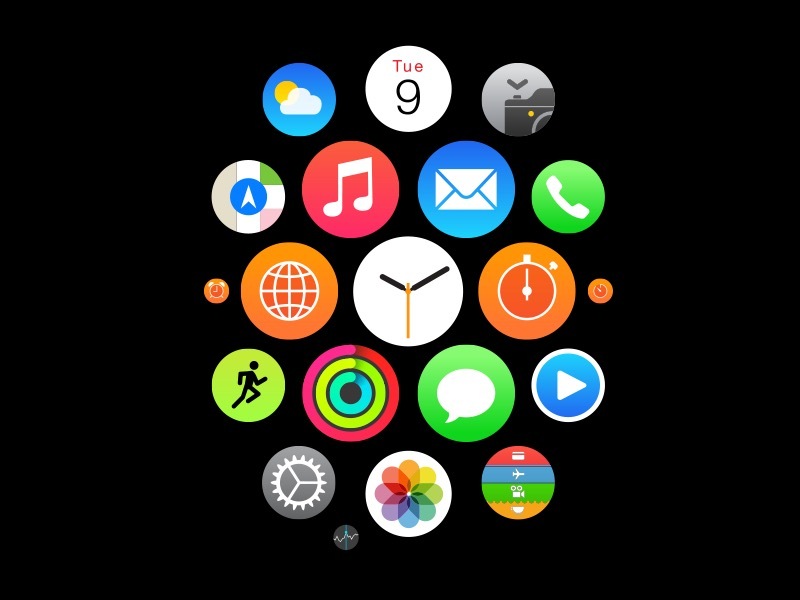 Last night I tried to find vector icons of the preinstalled apps on the Apple Watch online. Turns out, there is no complete set of the homescreen apps that are shown on Apple’s screenshots. I thought I’d just start and make the simple ones myself. Before too long, I had drawn all of them. Some are almost perfect, some only work for smaller sizes. But it was a fun excercise. And now it’s up on Dribbble. In case you’d like the (very rough!) Illustrator CC source to this, here’s a Dropbox link. I’ll clean this up some more and write an actual blog post about it in the coming days. A few days later I got fed up with the Apple Watch Companion App icon that is used on the iPhone and comes preinstalled with iOS 8.2, so I used the icon set I made to imagine a different and—in my eyes—more iconic look.